It is an offence under the Human Medicines Regulations 2012 to issue a false or misleading advertisement for any medicinal product. Member companies and their agents are responsible for ensuring they are fully acquainted with, and conform to, the legal requirements in force at any time. Since such requirements are continually evolving, it is not possible to provide a definitive list of the relevant statutory instruments. However, the principal legal requirements which apply specifically to medicines advertising are the Human Medicines Regulations 2012. 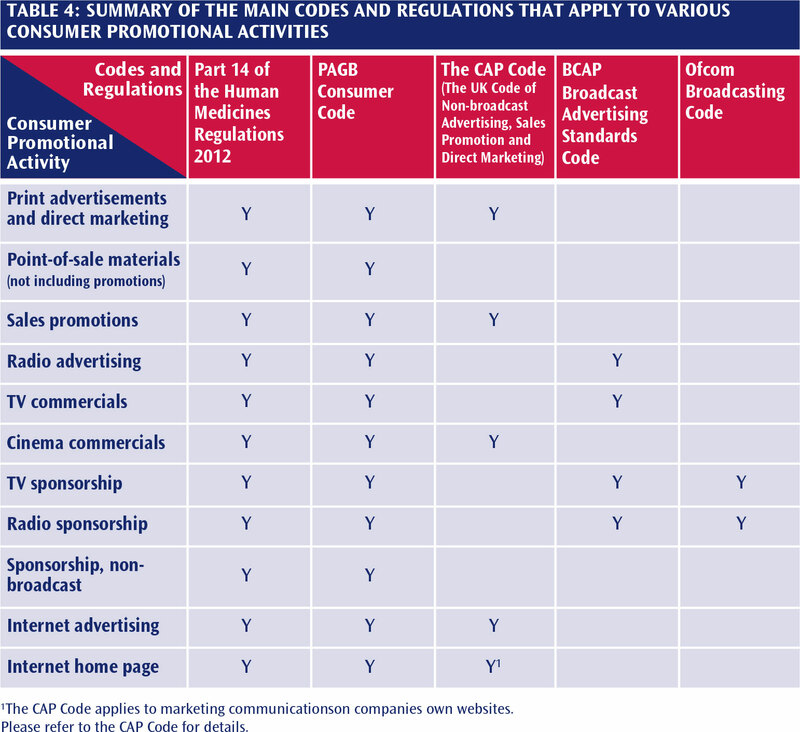 MHRA produces guidance in the form of the Blue Guide – Advertising and Promotion of Medicines in the UK and additional guidelines on certain types of advertising e.g. advertising medicines for use in pregnancy. These may be found on MHRA’s website (www.mhra.gov.uk). 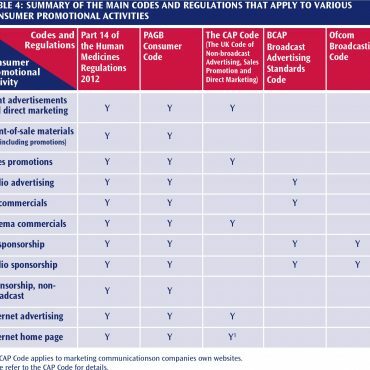 Table 4 below is intended as a useful reminder as to the different codes that apply to various consumer promotional activities. Please note that this is not an exhaustive list and there may be additional codes and/or guidelines depending on the type of promotional activity. Each of the codes referred to can be downloaded from the code-owning bodies’ websites. Please refer to section 8 for details.